We are pleased to announce the exciting line up of keynote speakers for AMEMR 2017. Keynotes will open each theme throughout the conference. Beth obtained her BSc (with first class Honours jointly in Mathematics and Marine Biology) from James Cook University in Townsville in 1997 and her PhD on ‘The effects of the structure and formulation of ecosystem models on model performance’ at the University of Tasmania in 2000. Kevin is a plankton researcher who divides his efforts 50:50 between experimental work and modelling of systems dynamics (though shifting more to the latter!). Both avenues have explored different plankton types, from autecology through to ecology (HABs, ocean acidification etc. ), with applied work on algal biofuels. Emphasis in modelling is placed on replicating the essence of the dynamics of physiology and biochemistry, exploring hitherto under-represented facets, questioning simplifications and proposing alternatives. More can be found here - https://www.researchgate.net/profile/Kevin_Flynn4. Kevin Flynn is a Professor at Swansea University in the UK. Stephanie is a principal research scientist at the Massachusetts Institute of Technology. She received a BSc (physics) from University of Miami and a PhD (oceanography) from the University of Rhode Island. Her research interests lie at the intersection of the marine ecosystem and the physical and biogeochemical environment. She is involved in developing and using complex numerical models as part of the MIT Darwin Project (http://darwinproject.mit.edu). 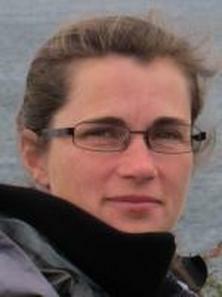 Much of her recent work has been in understanding the patterns of, and controls on the diversity of phytoplankton. This has led model development to include the representation of diverse phytoplankton communities, guided by laboratory, field and satellite observations and theoretical frameworks. Additionally she is interested in understanding how phytoplankton communities might change in a warming world, as part of her affiliation with the MIT Center for Global Changes Science. Thomas is a Professor at the National Institute for Aquatic Resources, Technical University of Denmark and the director of the Centre for Ocean Life (www.oceanlifecentre.dk). 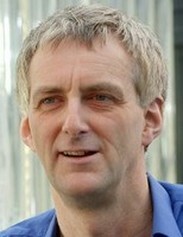 He is primarily an experimentalist exploring and visualizing the mechanisms by which planktonic organisms feed, survive, and reproduce in an attempt to understand how the trade-offs between these often conflicting fundamental missions of life shape the ecology of plankton and the structure and function of pelagic ecosystems. This work form the basis of the trait-based models of marine ecosystems that are developed at the Centre for Ocean life. Dr Malde works as a bioinformatician at the Institute of Marine Research in Norway, where he has struggled with big data challenges related to molecular biology, functional genomics, and population genetics for more than a decade. He is also an associate professor in informatics at the University of Bergen, where he teaches artificial intelligence and machine learning algorithms. He is currently working to apply technologies from the field of machine learning to meet current and future big data challenges in the marine sciences.